Glory to God! Now Simple Bible can read the Bible in Chinese! ● Bible version: Traditional Chinese He He Ban. ● Double Version Setting: Include He He Ban Simplified Chinese, KJV and BBE. ● Five Main Function: Reading, Search, Bookmark, Notes and Setting. ● Setting: Adjust fonts size, screen lighting, double version setting. ● Very easy to use and to read, simple but useful. ● One and only bible app that can read without internet connection, without more download, small size app fast download and can read single verse or verse to verse (Not reading chapter by chapter). ● Unique and fast system, no lagging. ● Auto scrolling with adjustable speed. 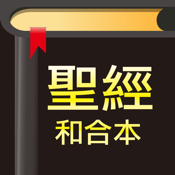 ● Change chapter by simply sliding your finger left or right. ● The “Where in the bible?” fun function, test your bible knowledge. ● Double click on any verse to open the function list, with functions like sharing verses, copy verses and so on…. ● Fix verse error. Thank you all for your error report!